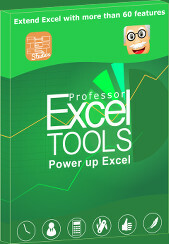 Sometimes Excel workbooks become quite large: The more worksheets there are, the more difficult it is to keep the overview. A table of contents might help. 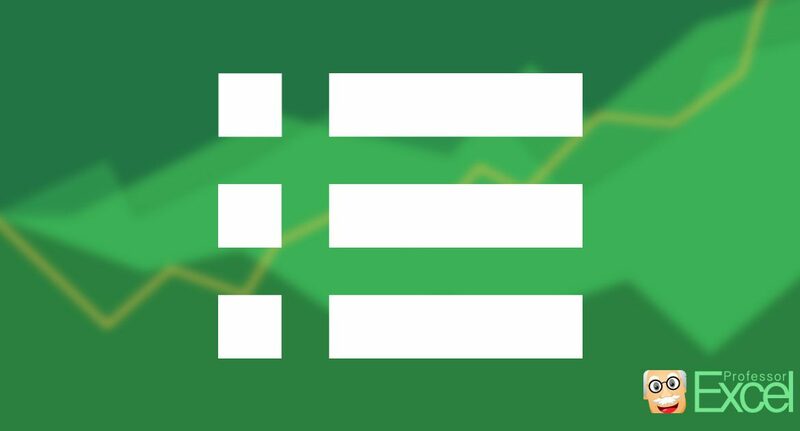 In this article we’ll explore 4 ways of creating tables of contents in an Excel workbook. 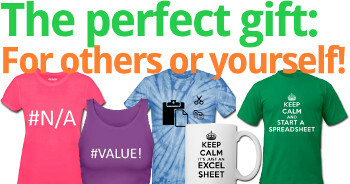 Let’s say we want to create a new worksheet with a list of all other worksheets. Furthermore, each list entry should have a link to the corresponding worksheet so that you can easily click on it and will be taken to this worksheet at once. 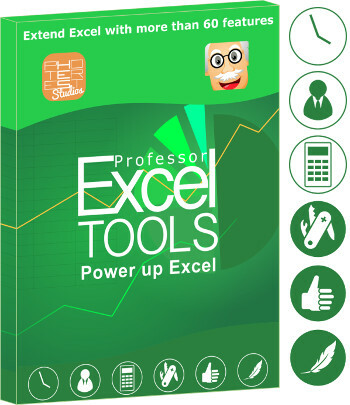 Basically, there are four methods for creating such table of contents: Do it manually, apply a complex formula, use a VBA macro or an Excel add-in. Create a new worksheet by right clicking on any worksheet name and click on Insert Sheet (or press Shift + Alt + F1). Give a proper name, for example ‘Contents’. 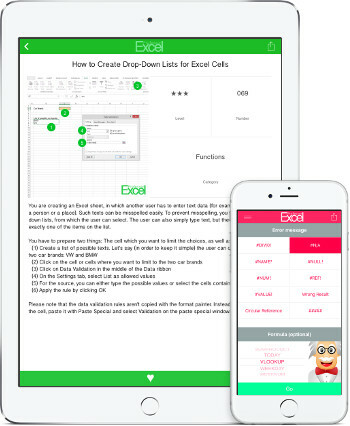 Start by typing the first worksheet name into cell B4 (or any cell you like…). Add the link to the cell: Right click on the cell and click on ‘Hyperlink’. Select ‘This document’ as shown on the picture above and click on the sheet name you want to create the list entry for. Usually cell A1 is fine as the cell reference. The window of adding a hyperlink on Windows looks a little bit different but offers the same options. Repeat steps 2 and 3 until all worksheets are in your table of contents. Do all the formatting as desired and then you are done. Define a named range first in order to insert a table of contents with formulas. Click on “Define Name” in the center of the Formulas ribbon. Copy this formula down until you get blank cells. All worksheets will be regarded, also hidden ones. If you change the order of worksheets, delete some or do any other changes: These changes will be immediately reflected in the table of contents. So you have to be careful if you add comments or do any special formatting. You have to save the workbook as a macro enabled workbook in the format “.xlsm”. The reason is that you use a formula as a named range which is only possible with macro-enabled workbooks. As the first method works but is quite troublesome – especially for large workbooks – we’ll take a look at a second method: A VBA macro. The macro is supposed to do the same steps: Walk through all sheets, create a list entry for each sheet and insert a hyperlink to each sheet. Go to the developer ribbon. Press start on the top. tempLink = "'" & tempWorksheetName & "'!R1C1"
You can customize the headline color. You can choose if you want to insert links to each worksheet. You can define levels: For example by high level sheets by their name. You can select if you want to insert an entry for the table of contents sheet itself. You can choose if you want to skip hidden worksheets or include them as well. You can define your preferred name for the table of contents sheets. Your last settings will be saved so that it’s very fast to update or create a table of contents. There is a 31-day free trial version with no sign-up available. You can just give it a try. 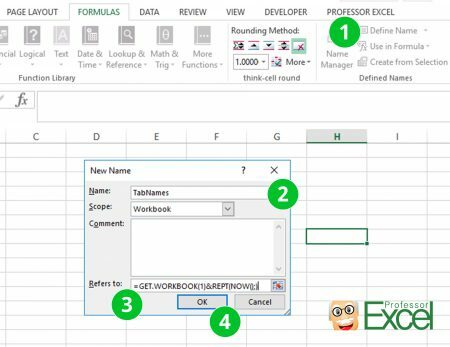 Here is a way with an Excel4 defined name and a couple cell formulae. and fill down until you get empties. Thanks a lot, that’s a good way! I’ll add it. Is there a way with Method 2 of then being able to hyperlink back from the sheets to the table of contents. That would be amazing. There are two simple approaches. 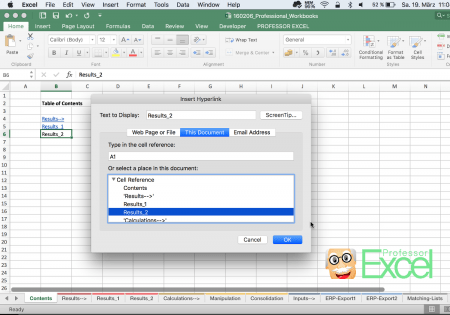 If you are sure that – let’s say – cell A1 is unused on each sheet, prepare a link to the table of contents in cell A1 on one of the sheets. In order to achieve this, select the cell and press Ctrl + K on the keyboard. 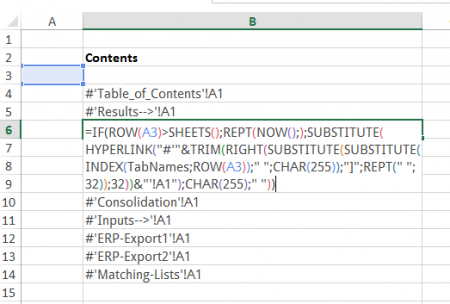 In the “Insert Hyperlink” window select “Place in This Document” and define the link to the table of contents. Confirm with OK. Copy the cell and select all worksheets which should link to the table of contents. Paste the copied cell with Ctrl + v. Now, each worksheet should have a link to the table of contents. 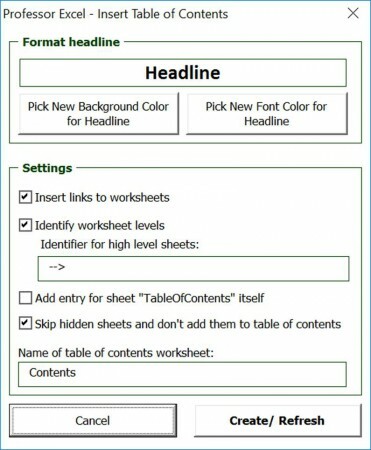 Alternatively prepare a text box, also linking to the table of contents sheets (similar to the first method above). Copy it and paste it on each worksheet separately. For a faster way to create a table of contents, see Create a table of contents automatically. The VBA only seems to work just once and gives an error on ‘already existing name for sheet’ when used again. Method 2 is more durable for end users unless method 3 refreshes itself when a new sheet is added. =IF(ROW(A1)>SHEETS(),REPT(NOW . . . .
all I get is this error in the cell: #NAME? For me the method worked so I can’t really reproduce the error. But the #NAME error usually indicates – as the word says – a problem with a name. And because this method uses a named range, maybe there is a problem? Also have you checked if you’ve spelled all formula names correctly? i know this already…… but i learn some ideas in order to work fast…….!!! thank you very much for Method 3.
i was trying to make such TOC for sheets which are visible. In excel file I have about 30 sheets, but depends from case I choose, for printing I have only 7-10 visible. If I use method 3 then all sheets (about 30) are taken for TOC, but I would like to have only visible. I’m not expert in VBA, I was trying to play with parameter .Visible but it doesn’t work. If you can give some tip I will be very grateful. Thanks a lot for this. How do I get it to list the contents of Cell A1 of each tab, instead of the tab name? any formula to show the page number?